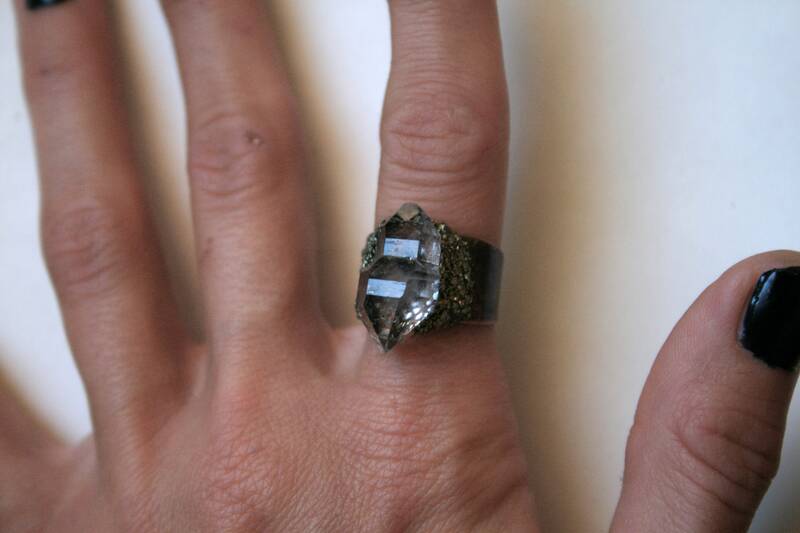 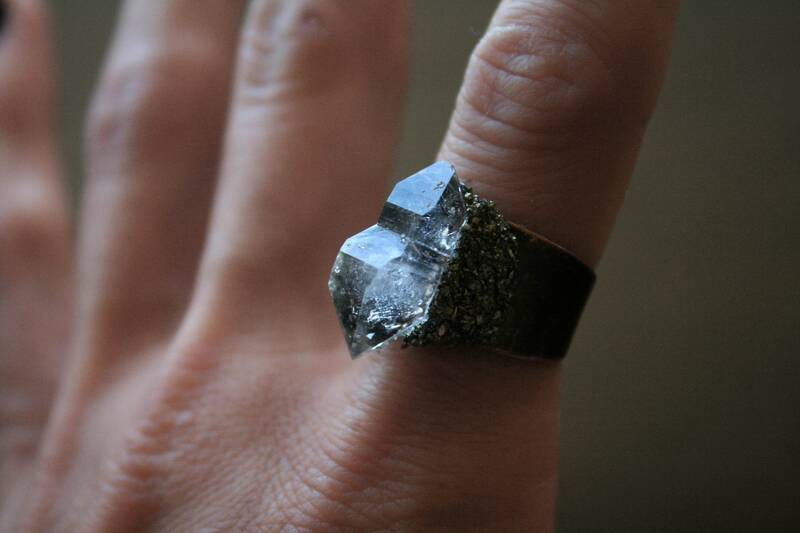 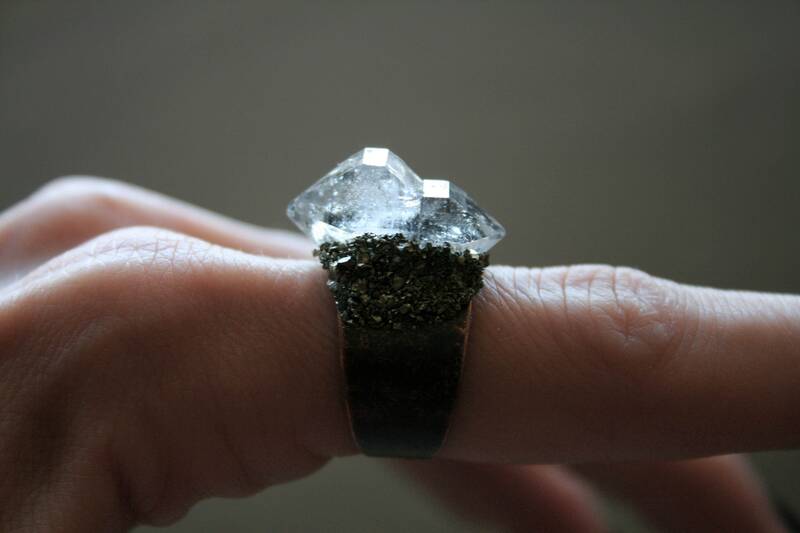 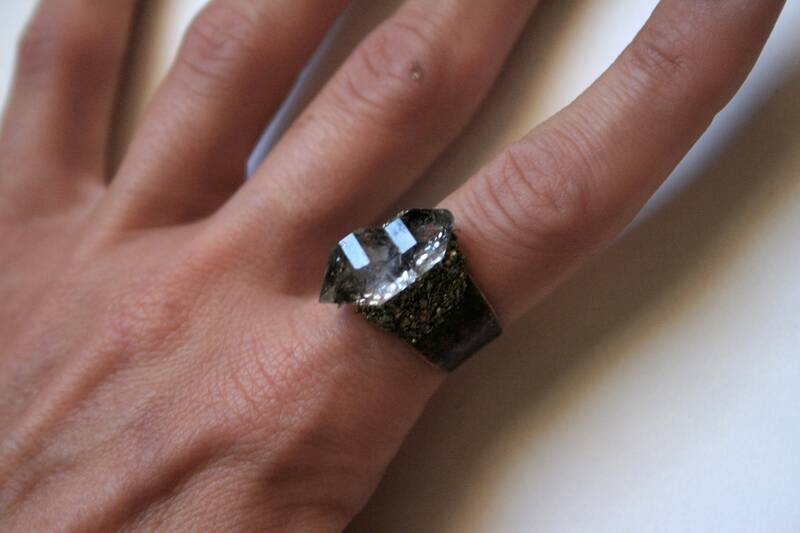 One ring, featuring a clear / white Tibetan scepter quartz crystal, with carbon inclusions inside, hugged by crushed pyrite, on an adjustable antique raw copper band. 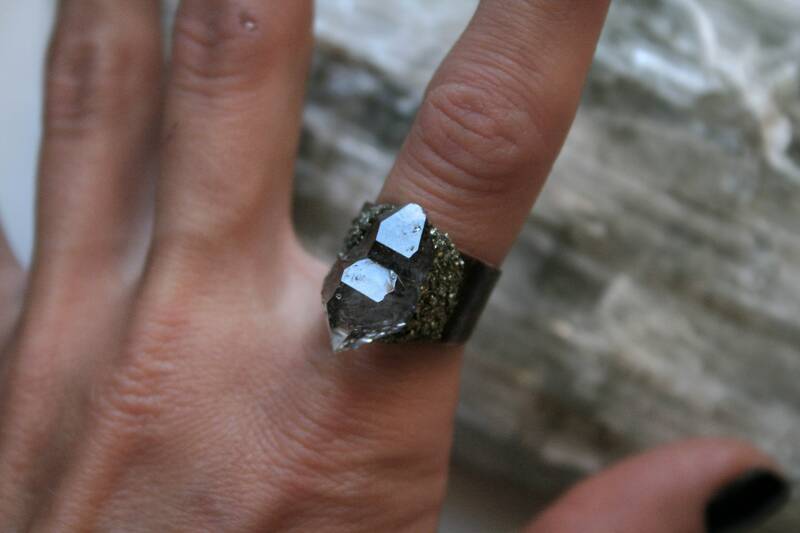 Please note that all natural crystals are unique and have some irregularities. 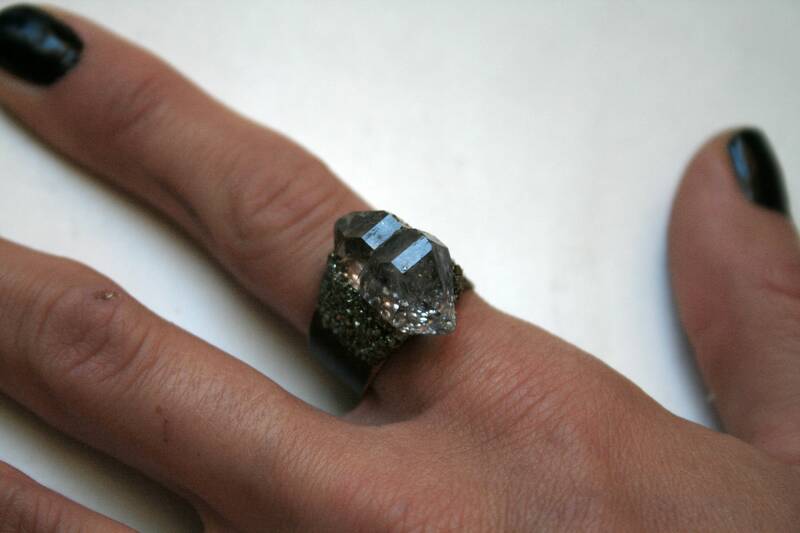 Tibetan quartz is not a solid colored crystal and gets color from mineral and carbon inclusions.